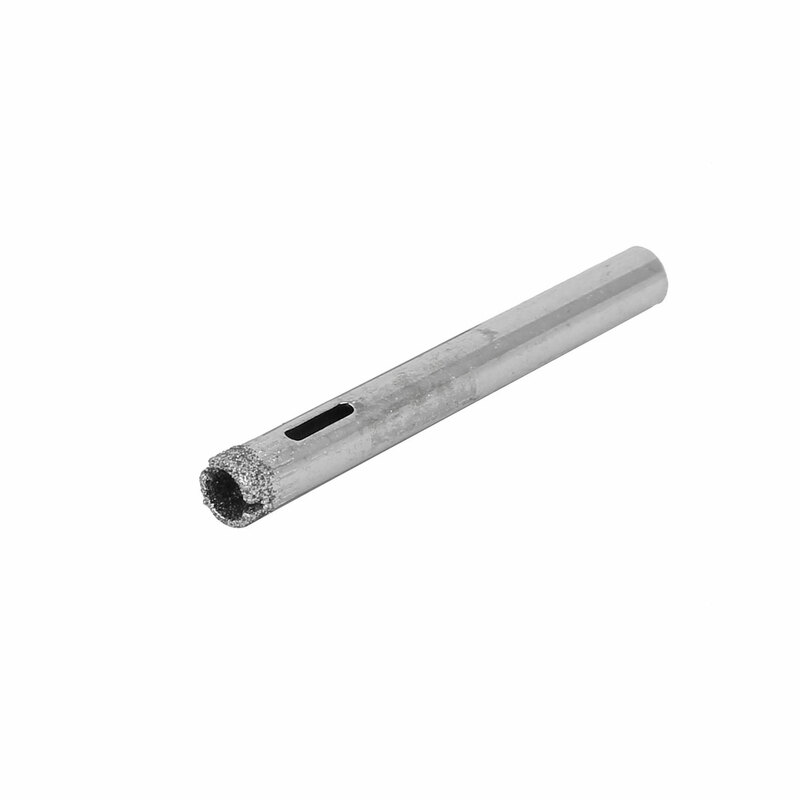 Specifically for glass openings , the ultimate hole saw for hard-to-cut materials;? With Special design of diamond brazing, the edge of saw will be free cutting, the efficiency of cutting will be improved greatly. Features:Made from high quality diamond powder electroplating. Cut holes smoothly, tidily, with out broken edges and vibration phenomenon. Small incision resistance, increase the speed of cutting holes, easy to decorate after grooving and easy to clean. Attentions:In order to prolong the life of this glass hole saw, when processing, please add into coolant liquids or water.? Working without cooling is forbidden. This glass hole saw only can be used in cutting holes on glass. Weight: 30g; Shank Size: 5.5mm / 0.22"
Hole Saw Depth: 5mm / 0.2"